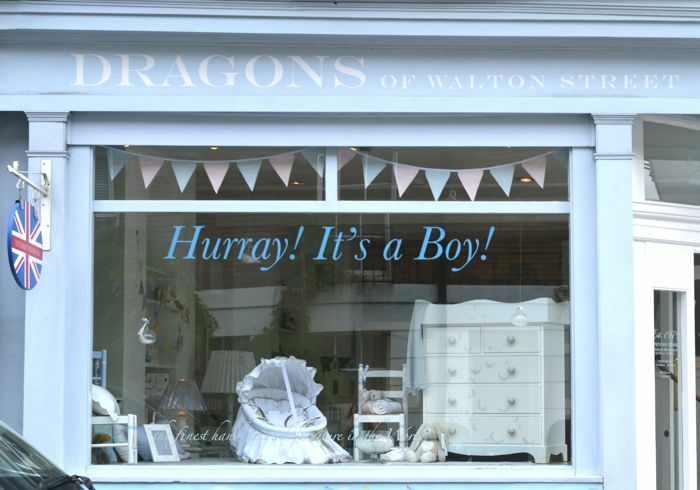 One of the delightful ways that London has been celebrating Prince George's birth is with shop decorations. I've had so much fun walking around seeing the creative ways shops have decked out their windows. Below are some of my favorites! Above is my favorite department store, Liberty. 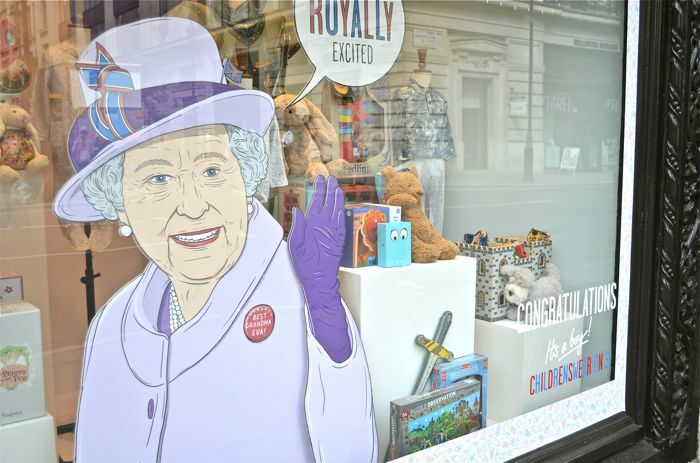 I love all the fun details such as, "Royally Excited," and "Best Grandma Eva!" I happened upon Walton Street as I was walking through the Knightsbridge area. Walton street is the loveliest little road full of interior design shops and baby stores. 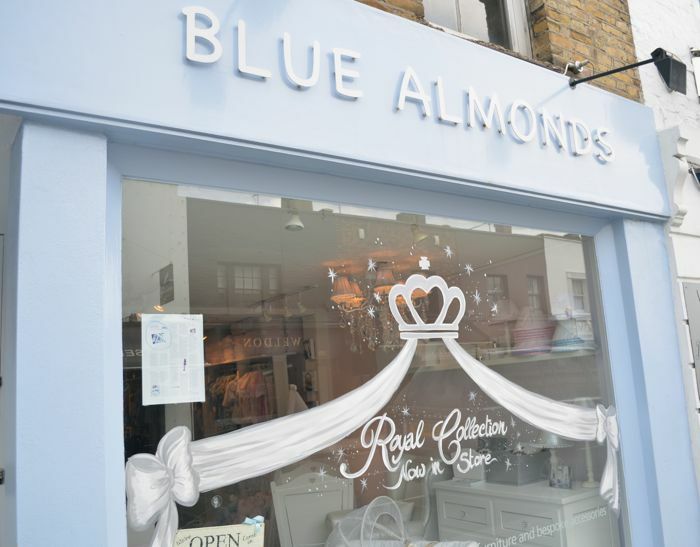 Above is Blue Almonds! 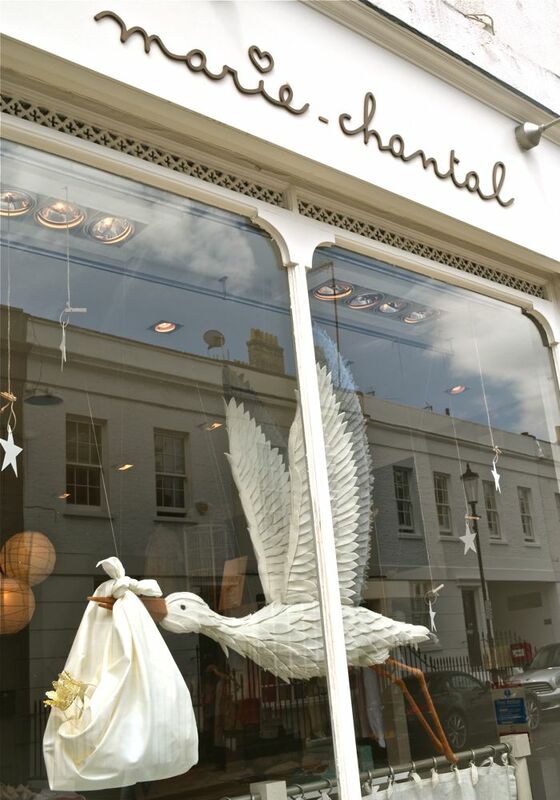 I am in love with this stork carrying the little crown in Marie-Chantal's window on Walton Street! Marie-Chantal is the Crown Princess of Greece and the store is her eponymous children's clothing line. Okay, so my favorite is Sleeping Beauty and then I love the music of The Little Mermaid! Take care! Thanks so much! It really has been an exciting time to be here! Love this! The cutest form of baby fever is royal baby fever! I feel like if I get close enough to take pictures of the baby, I will shortly be in handcuffs.